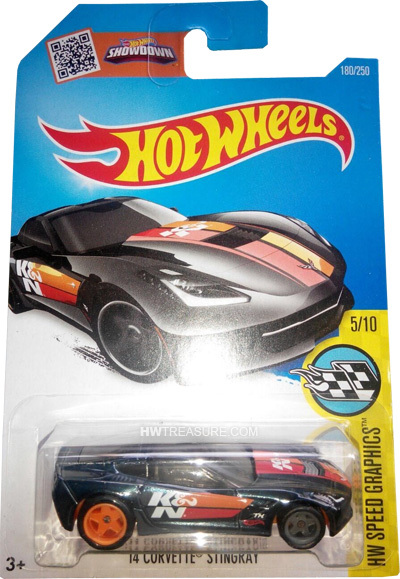 180/250 is part of the 2016 Super Treasure Hunt set and 5/10 in the HW Speed Graphics series. The Stingray has black spectraflame paint that sports red and orange stripes with “K&N” in white on the hood and sides. 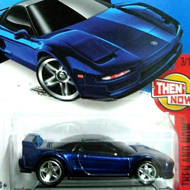 The hood also has white headlights and the Corvette emblem and the sides include a red Hot Wheels logo and “TH” in white. The car has tinted windows, a gray interior, and an orange plastic Malaysia base. Gray Real Rider Exotic wheels are in the front and orange ones are in the back. 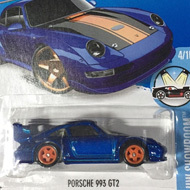 Loose versions of the vehicle have appeared with different styles of wheels. The sports car made its debut in the 2013 HW Showroom series. It is based upon the seventh generation Corvette produced by Chevrolet.